With daily drama pouring in from across the Atlantic, much of the British press seem to have overlooked the four other presidential candidates of an imminent and equally colourful scramble much closer to home. The appalling events in Toulouse over the last few days have abruptly thrown France back into international spotlight; debates on Israel and Palestine, the multilateral military intervention in Afghanistan and the perceived Islamification of Europe have fresh material in light of these shootings as analysts raise concerns over the dawn of a new era of ‘lone wolf – soft target’ terrorism. For French politicians however, the more pressing question is whether these attacks will have any real impact on the voters. The Fifth French Republic established itself as an “indivisible, secular, democratic and social Republic” (Article 1, The 1958 Constitution). France’s governmental structure is semi-presidential (administrative power shared between the prime minister and president) with a bicameral parliamentary system (divided into the Sénat and Assemblée Nationale). The government hold executive power, the two houses of parliament legislative power and the French judiciary serves as an independent body. The election process entails two presidential and two legislative rounds, after which the candidate with an absolute majority is eligible to serve a five-year term as President. Since Valery Giscard D’Estaing’s defeat to Mitterand in 1981 however, Presidents have not just served five-years in modern history, and Sarkozy appears to be en route to being the first single-term President in over thirty years. Since the dawn of organised politics, personality has always been crucial for winning votes. Sarkozy and Holland’s equivalents in Westminster, two sharp suited dark haired Oxford PPE graduates in their mid 40s, seem fairly interchangeable to outsiders. One happens to be Prime Minister, the other leader of the opposition, but the identity crisis brought on by New Labour’s lean to the right and the formation of a coalition have blurred the charismatic dimension of British politics considerably. Sarkozy and Hollande on the other hand are, even superficially, very different. On May 6 2007, Sarkozy celebrated his election victory at Fouquet’s restaurant – among the most expensive eateries in France – with Jean Reno, Johnny Halliday and a variety of businessmen. Shortly afterwards, the billionaire corporate raider Vincent Bolloré treated the new President to a cruise trip on his personal yacht. Sarkozy quickly allied himself with many other members of France’s nouveau rich under a semi-Thatcherian ‘hard work reaps rewards’ doctrine. As he states on his campaign website, “François Mitterand cleverly capitalised on the theme of ‘evil money’. For others, money is the expression of happiness. Making everything possible, offering everything, making everything easy”. This relationship with cash not only ostracised the left, but also the more old-fashioned aristocratic right, and quickly earned him the nickname President Bling-Bling. Combined with multiple ill-planned remarks and unpredictable mood swings, his image became one of a hot-headed plutocrat with scarily dictatorial tendencies. Hollande, meanwhile, has suffered from quite the opposite problem. A dull scooter-driving moderate, The Flan has in many respects followed the conventional course for governance, unlike his ex-lawyer opponent. A graduate of Sciences Po and ENA, he entered politics as a volunteer for Mitterand, and by 1997 had become the Socialist Party’s First Secretary. His battle has not been with establishing credentials, but rather with his weight problems and combating his bland, unflashy persona, often ridiculed by the French press. Following the Socialists’ loss to Sarkozy in 2007, he resigned as First Secretary and drifted towards local politics until March 2011. Yet in the run-up to the election, the differences are becoming increasingly less superficial. Despite his various successes on the international stage (negotiating the Russo-Georgian ceasefire in the 2008 South Ossetia conflict and leading multinational support for a Greek bailout), Sarkozy’s domestic performance has not been well received by political analysts both in and out of France. Introducing significant cuts on the social benefit system, increasing the age of retirement and lowering income tax to the rich have characterised his economic policy as ‘class based’. The various international financial crises have exacerbated this problem, and many now see him as incompetent in fiscal security. In 2007, Sarkozy created the Ministry of Immigration, Integration, National Identity and Codevelopment, a move perceived as xenophobic and anti-pluralistic by many minority groups. As the election looms, Sarkozy has drifted further to the right in an attempt to steal votes from Marine Le Pen, the fresh face of the Front National and third ranker in the current polls, but it may prove too late to recruit hard-line, and often rural, nationalists into a campaign predominantly concerned with protecting the wealthy. To make things worse, Catholics and humanities enthusiasts are increasingly drawn to the highly religious and education-centred fourth-place polling François Bayrou, a further option for old-style conservatives, many of whom loathe Sarkozy for his disdain for traditional culture. Pausing direct campaign efforts and shifting attention to Toulouse, Sarkozy and his interior minister have tried to demonstrate the administration’s devotion to security. Until the perpetrator’s motives were revealed, it was largely believed the shooter could have been a far-right white supremacist, not unlike the London nail bomber David Copeland. As the gunman’s ethnicity, religion and claimed allegiance to al-Qaeda have become known, a possibility for on-the-fencers to shift to the right is undeniable. 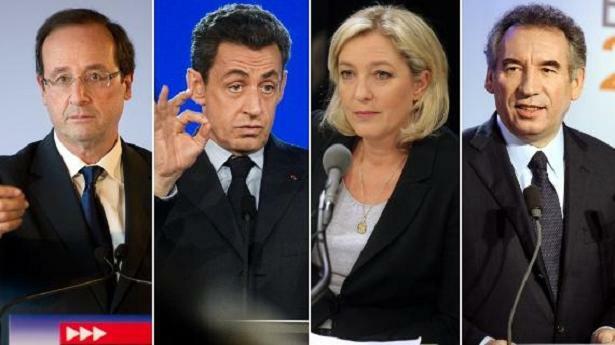 The murderous rampage has been called a “godsend for Le Pen” by commentator Sylvain Crépon, and despite his posturing and ostentatious presence in Toulouse, Sarkozy looks set to loose fringe members to his famously Islamocritical competitors at the Front National. Far from uniting the right, these shootings may well have split it further. On the left however, there is only one obvious candidate – François Hollande. Aside from progressive social measures, Hollande’s most radical policy proposal relies on providing an alternative to Sarkozy’s ‘bling’ approach. A promise of a 75 percent levy for those with an income of greater than 1 million dollars has terrified the uber-rich, many (including Sarkozy’s dining companion Johnny Hallyday) embarking on tax exile. As President, Sarkozy has enjoyed more press coverage in Toulouse than his rival, but Hollande too visited the Jewish school where a teacher an three children were murdered earlier this week, and has been applauded for his calm attitude towards concerns of increasing intolerance and Islamophobia. Toulouse will undoubtedly influence the elections to a certain extent, but many analysts feel the bigger picture has already been drawn. With international lambasting of Strauss-Kahn showing no signs of dying down – his visit to Cambridge’s Union Society last week provoking widespread student protest – the French Socialists seem to have successfully disassociated themselves with the past, and invented a new option for leftists. After more than fifteen years away from government, a considerably more presentable François Hollande looks set for the Élysée Palace as France enters a new era of governance.